A student’s first week can be a little bit intimidating, so we do everything to make them feel comfortable throughout. 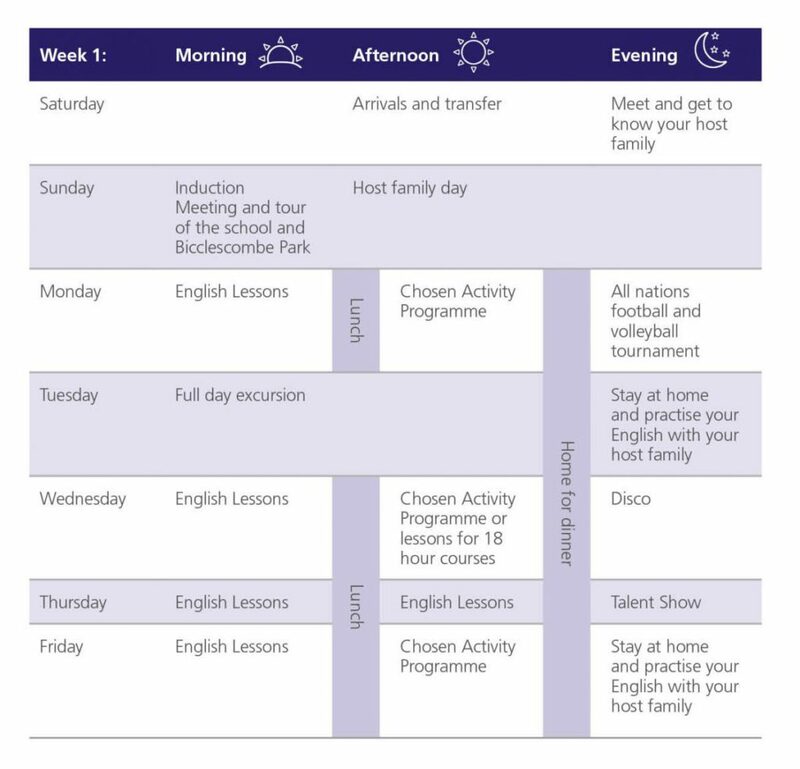 Below is a typical timetable for the first week, depending on the chosen programme some activities may be in the morning instead of the afternoon. If a student at any point does not know where they should be they can come to the reception, ask an activity leader, or call 0044 1271 862 834.